How do we determine whether The Blackstone Group L.P. (NYSE:BX) makes for a good investment at the moment? We analyze the sentiment of a select group of the very best investors in the world, who spend immense amounts of time and resources studying companies. They may not always be right (no one is), but data shows that their consensus long positions have historically outperformed the market when we adjust for known risk factors. The Blackstone Group L.P. (NYSE:BX) investors should pay attention to a decrease in activity from the world’s largest hedge funds recently. Our calculations also showed that BX isn’t among the 30 most popular stocks among hedge funds. We’re going to go over the fresh hedge fund action encompassing The Blackstone Group L.P. (NYSE:BX). At the end of the fourth quarter, a total of 33 of the hedge funds tracked by Insider Monkey were long this stock, a change of -6% from the previous quarter. 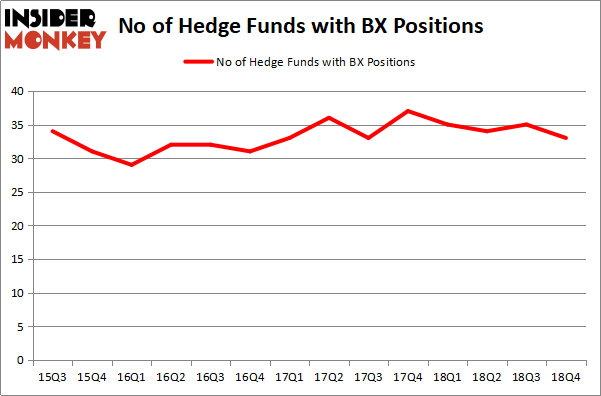 The graph below displays the number of hedge funds with bullish position in BX over the last 14 quarters. With hedge funds’ capital changing hands, there exists a few noteworthy hedge fund managers who were increasing their holdings meaningfully (or already accumulated large positions). According to Insider Monkey’s hedge fund database, Robert Joseph Caruso’s Select Equity Group has the biggest position in The Blackstone Group L.P. (NYSE:BX), worth close to $154.1 million, corresponding to 1.2% of its total 13F portfolio. 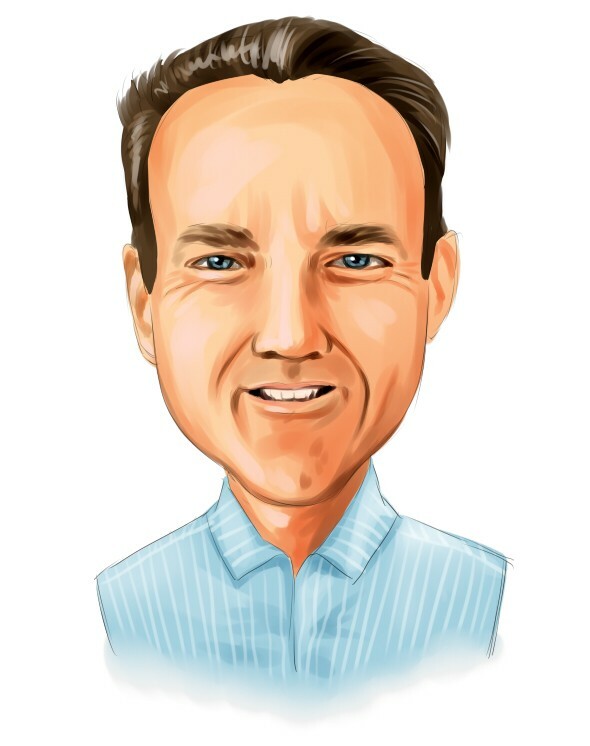 The second largest stake is held by Mick Hellman of HMI Capital, with a $97 million position; the fund has 11.1% of its 13F portfolio invested in the stock. Other peers that hold long positions comprise Richard Chilton’s Chilton Investment Company, Tom Gayner’s Markel Gayner Asset Management and Julian Robertson’s Tiger Management. Due to the fact that The Blackstone Group L.P. (NYSE:BX) has faced a decline in interest from the smart money, logic holds that there lies a certain “tier” of fund managers that decided to sell off their full holdings in the third quarter. It’s worth mentioning that Sander Gerber’s Hudson Bay Capital Management sold off the biggest position of all the hedgies followed by Insider Monkey, totaling close to $3.8 million in stock, and Jeffrey Talpins’s Element Capital Management was right behind this move, as the fund dropped about $3.1 million worth. These bearish behaviors are important to note, as total hedge fund interest fell by 2 funds in the third quarter. Let’s check out hedge fund activity in other stocks similar to The Blackstone Group L.P. (NYSE:BX). These stocks are Capital One Financial Corp. (NYSE:COF), Carnival Corporation (NYSE:CCL), Micron Technology, Inc. (NASDAQ:MU), and Activision Blizzard, Inc. (NASDAQ:ATVI). This group of stocks’ market values are similar to BX’s market value. As you can see these stocks had an average of 50.75 hedge funds with bullish positions and the average amount invested in these stocks was $2051 million. That figure was $510 million in BX’s case. Micron Technology, Inc. (NASDAQ:MU) is the most popular stock in this table. On the other hand Carnival Corporation (NYSE:CCL) is the least popular one with only 39 bullish hedge fund positions. Compared to these stocks The Blackstone Group L.P. (NYSE:BX) is even less popular than CCL. Some hedge funds clearly dropped the ball on BX and sold it during the fourth quarter. Our calculations showed that top 15 most popular stocks among hedge funds returned 19.7% through March 15th and outperformed the S&P 500 ETF (SPY) by 6.6 percentage points. Some hedge funds were also right about betting on BX, though not to the same extent, as the stock returned 19% and outperformed the market as well. Were Hedge Funds Right About Ecolab Inc. (ECL)? Were Hedge Funds Right About Selling Northrop Grumman Corporation (NOC)? Is Vertex Pharmaceuticals Incorporated (VRTX) A Good Stock To Buy? Were Hedge Funds Right About Dumping FedEx Corporation (FDX)? Were Hedge Funds Right About Getting Into Bank of Montreal (BMO)? Is Illinois Tool Works Inc. (ITW) A Good Stock To Buy?